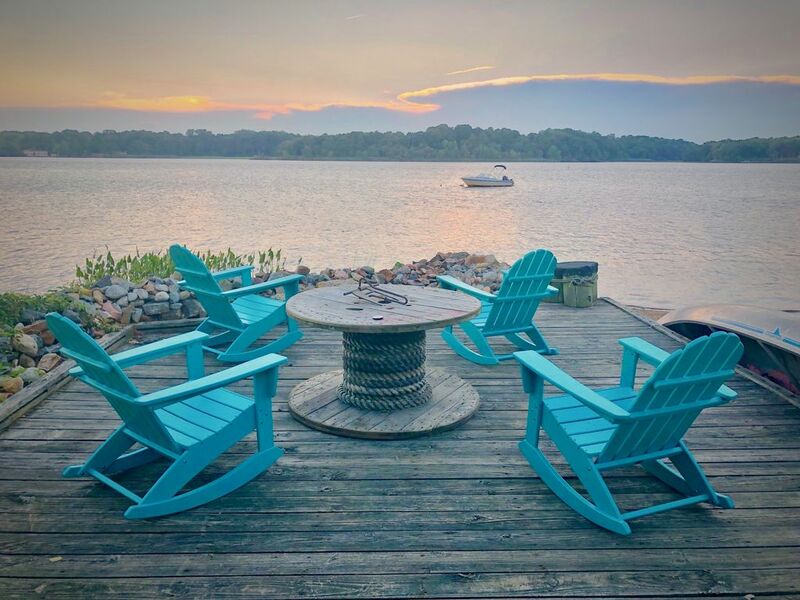 Enjoy your time on the Chesapeake Bay with a private beach and waterfront property. This bay house sleeps 12 with stunning views across the Elk River. Roast s'mores on the campfire or tuck away on the porch swing for a fabulous view of the sunset. Celebrate family time with a feast of Maryland crabs out on the deck. Find a quiet spot on the sun porch to read your favorite novel or snuggle up next to the fireplace. Once you walk through the front gate, you'll won't look back. It's the perfect bayside experience. Bath Towels available. Beach towels are NOT included. We suggest packing beach towels if you plan on swimming. We suggest bringing a bag of ice for beverages. Located in the family room coffee table. Outdoor toy bin located under deck. There is a bin located under the deck stairs with water toys for the beach. Visit historic Chesapeake City just 10 minutes away. Visit Historic Chesapeake City for restaurants, waterfront night life, antiquing, and local flavor.